If you or a loved one has been charged with a crime, you need to speak with a criminal defense lawyer immediately. Prosecutors and police are not on your side. At Reedy Law Office, we are, and we will fight for your innocence. 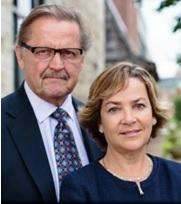 The Reedys have been working in the criminal justice system for over four decades. They are fierce advocates and skilled litigators. Where other lawyers push plea deals, we go to trial and fight for our clients. Both William Reedy and Amy Reedy are former prosecutors. Amy Reedy also spent over eight years as a Criminal Court Judge. They know the ins and outs of Tennessee's court system, and they often know what the prosecution is going to do before they do it. This knowledge allows our firm to be proactive, taking steps to protect our clients and building defense strategies that tear the prosecution's case apart. Criminal charges have serious consequences. Make sure you have the strong defense you need. Contact our firm today for help. We represent clients in Cleveland, Chattanooga, Athens and throughout southeast Tennessee.